Search Engine Optimization is just a term that explains how we make our content (like blog posts) easy for search engines to find. We want to put specific words and phrases (keywords!) in our content that match up with the phrases people type into search bars. We also want to put those keywords into places where search engines like to read it. That’s it! Got it? Good job! Search engines like Google and Pinterest can find our content easier if we tell them exactly what it’s about. For example, just telling them our blog post is just about “chili” isn’t very helpful. Is it a chili recipe? Chili restaurant? A round-up of the best chilis? We must be more explicit! Now, if we tell them our blog post is about an “easy weeknight recipe for crockpot chili”, that’s descriptive! We need to find a balance between what our blog post is about, and what potential readers are searching for. And that’s what I’m teaching today! Before we get started, make sure to snag my keyword planner! 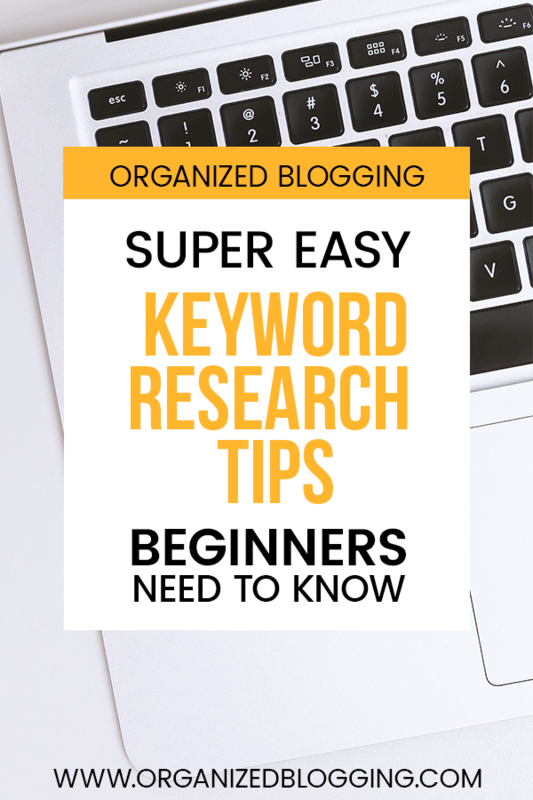 It’ll help immensely when it comes to organizing your keywords and finding the keywords that work best for your blog. I like to start with Google first, because Google looks at more of the words within our blog post and tends to keep content evergreen longer. This method is so simple and I learned it from Lena over at WhatMommyDoes.com. Simply go to Google and start typing in a couple words related to your blog post. It will give you suggestions of what people are searching for – hello, keywords! Let’s say, “chili recipe no beans” is relevant to my blog post. I’d click that result, then scroll alllll the way to the bottom where Google gives us a little gift called, “Searches related to chili recipe no beans”. These are keyword phrases with words we might not have thought to use for our content! 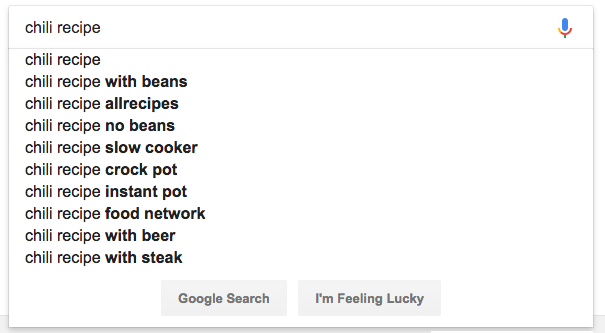 We can also click one of these results, like, “easy stovetop chili recipe no beans” and find out what “Searches related to…” results come up for that keyword phrase. Don’t forget to write down 5-10 of these keywords in your OB Keyword Planner! What do we do with Google keywords? Great question! I’m glad you asked. Now that you’ve found a few options, choose one of the Google keywords that most closely aligns with your content. It should be descriptive (3-5 words), and feel natural to include in your writing. While our post should be optimized for SEO, it also needs to be readable for humans. If we do a search for “chili recipe” on Pinterest, they’ll give us a related search bar. See all those colored boxes with single words? These words help you build keyword phrases to use in your blog post and Pinterest marketing! Try tacking on keywords by clicking the boxes until Pinterest gives you no more suggestions. This will give you a super-detailed longtail keyword that you can use in your pin description. This longtail keyword is what Pinterest is telling us their users are searching for, so it’s great to use these phrases within our content! How do we use Pinterest keywords? That’s another great question, young padawan! We get to use our Pinterest keywords in sooooooo many places. In fact, I’ve written another post dedicated entirely to all the places we get to use our Pinterest keywords! You ready for it? Check out how to use Pinterest keywords. Let’s go! PS – If you haven’t, don’t forget to snag the keywords planner. It’s free and you won’t be disappointed! Great description of SEO without all the mumbo jumbo. I always appreciate information being simplified without all the filler fluff. Thanks! And I’ll be checking out the related posts. Love this. You make this internet world so simple!! Thank you, Giana! I’m so happy I could help! !